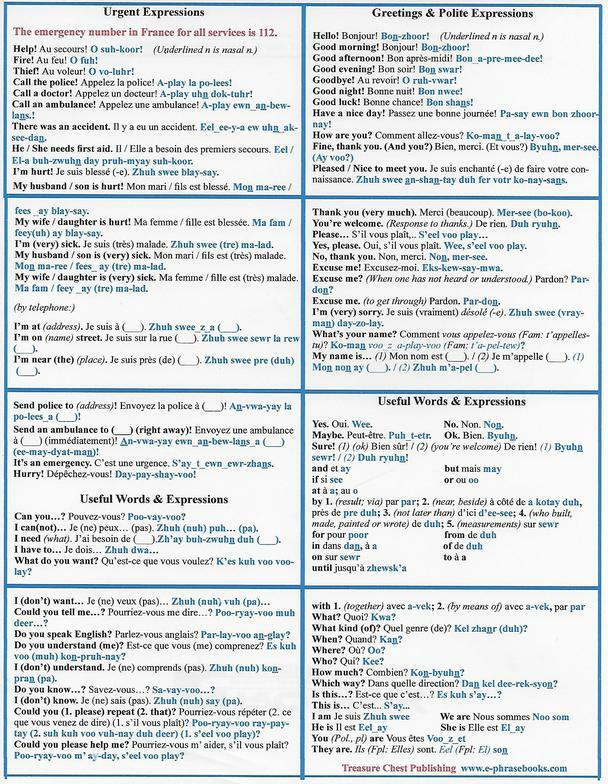 DOWNLOAD OUR 3-FOLD FRENCH PHRASE LIST! Here are eight mini-pages of the most critical French phrases and words that you’ll need when traveling to France or to French-speaking countries. Just download the single-sheet pdf, print it out, fold it 3 times, put it in your pocket or purse, and you're on your way. Stay in a French chateau!